The main reason is e assess that is really the affordability aspect, in particular the national income level. Over the last year, household income only rose about 2.8% annually. Now we this we’ve had rising housing prices, interest rates up AND building costs increase.. these rising costs on a national level have far outpaced our income averages. What does this mean? Well this is what many refer to as the ‘gap’ in affordability. Now here we have hit that ceiling on national average levels of affordability. Finally, there are options!! Actually a great time to be a buyer. Remember last year, there was so much competition you LITERALLY had no options.. look at the market today, you appreciate how much more opportunity awaits for buyers today! For sellers, what it comes down to is pricing to the current market, preparing the property and marketing properly in order to be that ‘next-to-sell’ home. There are still homes selling fast & for record breaking prices – does your home have what it takes? Ask for your FREE consultation today! As we’re reaching those final dog days of summer here, while the weather reports heat waves and perfect beach days..our housing market has actually shifted into cooldown already. The rumors are true, folks – the shift has happened! Remember, this is a GOOD thing. For all those crying, “housing bubble!” we see you.. That was soooo 2007, stop it. We have actually entered into a “healthy” market – economists agree, our market conditions have set the stage for stability moving forward. What we’re seeing in our market now is about a 2.2 month supply of homes, this is extremely low compared to the rest of the US; however, we expect for that number to increase to around 3 to 3.5 months here soon. This will allow buyers to take their time and not be forced into jumping into the first property that comes on the market… Finally, right?? If you’re interested in becoming a homeowner and making the American Dream your own, now might be your time to pull the trigger and find your dream home! Closed Sales decreased 9.5%. Pending Sales decreased 1.9%. Inventory increased 9.4%. The Median Price was up 6.8% to $657,000 for Detached properties and 6.7% to $432,000 for Attached properties. Days on Market increased 8%. All-in-all, we are looking at a promising future on the horizon for our local housing market. Consumer spending on home goods and renovations are up, and more people are entering the workforce. Employed people spending money is good for the housing market. Meanwhile, GDP growth was 4.1% in the second quarter, the strongest showing since 2014. Housing starts are down, but that is more reflective of low supply than anything else. With a growing economy, solid lending practices and the potential for improved inventory from new listing and building activity, market balance is more likely than a bubble. Buyers, you are now able to be a little more picky than buyers last year.. so you can be more patient, take your time for the right home to come along and really find that “dream home” you’ve been waiting for. Now, we’re not talking major price cuts here… as we said, it’s a healthy market not a housing crash – San Diego Is one of the most desirable places to live in America, so keep your expectations reasonable. Now’s the time to figure out what you really want and hire that Realtor who will work with you, pound the pavement and find that dream home! The best advice I can you right now is this: make sure you will be, what I call the ‘Next-to-Sell-Home”. What I mean by that is that you have to win on all fronts when compared to your competition. Your home either has to be in the same or better condition than the rest, at either the same or better price. Certain factors help set up sellers for success, we’d be happy to walk you through the process. First statistic I’d like to bring attention to is our closed sales this month is DOWN 15% compared to last year .. that’s a significant drop! Now, sales are down.. and the number of homes for sale is actually UP! So we have less homes closed, but more inventory. Now usually this results in prices going down.. however, instead we actually have a 6.3% increase in value (home prices) in closed sales from this month. We see that yes, we have more inventory, however we’re seeing more homes coming on market that aren’t showing well and are overpriced .. So what we have are these homeowners who see the housing market doing great, so they say, “hey, market’s great – let’s go ahead and list our property.. let’s sell our home”.. But they’re not taking the proper steps to sell their homes for the best results – their homes aren’t being prepped for market properly. These listings aren’t showing well. Some homes aren’t priced at fair market value either – they’re overpriced, they’re not showing well… so naturally, we’re seeing this population of listings sit longer on market. Then in contrast, we’re seeing the sellers ( “smart sellers” ) who are taking into account the condition of their property, making it look good …they’re hiring professional realtors to help prep their homes properly for market, having them come in and help prep, PRICE and market their home properly. Sure enough, these sellers are having more success with their homes on market than these other poorly prepped, overpriced homes – more closings & quicker sales with these “smart seller” listings. So despite more inventory, not all listings are equal.. however those “smartly” listed are selling with more success & faster, resulting in our increase in home prices seen still in San Diego county. So on the BUY side, BE CAREFUL. Make sure you do your proper research! Even if there’s no comps in the neighborhood, make sure you have your realtor to run comps for those homes you’re interested in. You want to make sure these homes are actually priced at fair market value, and seeing as several homes on market today are overpriced, make sure your realtor helps determine if in fact you are getting a fair price when you buy your new home. On the SELL side, take the time to meet with your realtor – make sure your listing agent really works to sell your home properly. Have them really guide you through this process – have them tell you what you need to do for staging, painting, PRICE..and then the proper marketing plan for your home sale. Note: we ARE still seeing a high demand for these types homes on market – sellers: if you prepare your home for market, you WILL be able to sell with great success! Maybe sell for more than your neighbor did, or get a great listing agent and you could even max out what your neighborhood can sell for.. the secret’s in the sale! Can it be true?? Ladies and Gentlemen, no fools’ jokes went into the making of this statement… let it be known: there is finally a significant shift in our San Diego Housing Market! We are just seeing significant evidence of a lasting change to our local market. Basically, what had been several long discouraging months with severe inventory droughts in a scalding HOT sellers’ market has simmered down to what I would say to be a more stable market. So small shift statistically, but what a significant impact on the market! Now, this news may be a shocking surprise to you – but don’t be jumping to any sky-is-falling conclusions about this now.. we are seeing only slight shifts here, nothing to indicate we are at any risk of a market collapse, I assure you! What we are seeing is a slight, and long overdue increase in ou r market inventory finally, though oddly enough also saw slight dip in buyer demand over last few weeks. This may seem odd, but considering all the many other factors in play here like tax season/reforms, stock market, school season, newly increased interest rates, economic stability concerns, or just some awful cocktail of them all gives just cause for buyer numbers to take slight dip momentarily here, as shown below. However we can expect buyer demand recover soon as this recent market shift becomes more evident – this surge of new inventory brings long-overdue relief onto our buyer market. More inventory means buyers will finally have more options when out looking for their new dream home (and slight decline in present buyer activity is GREAT news for active buyers now! – More options, less competition, better deals!) For sellers, this shift will mean the end of price gauging and return to more strategic home sale practices. Now you might be asking yourself, “Why is this not a sign of a correction, or market crash?? ?” Well, when the market crashed in 2007 people were stuck with these adjustable rate mortgages which when adjusted, sent their payment through the roof, we don’t have that anymore. Rental rates were extremely low in 2007 so it was cheaper to go rent than to own, we don’t have that anymore. Our population has grown yet we have only managed to build around 22% of the housing that is needed to support those new members of our community. Therefore these signs all point to high demand for housing here. 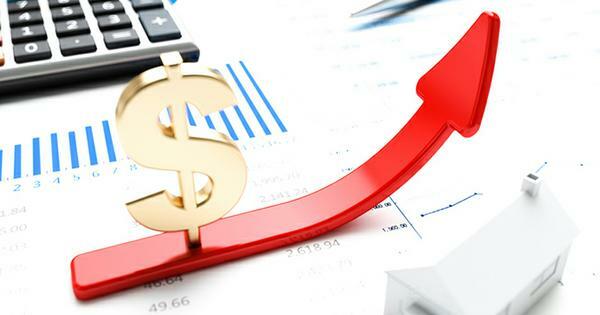 All in all, the market is going to remain very strong for the foreseeable future, however expect to see more inventory and more options for home buyers. Closed Sales are down 15.9%,. Pending Sales are down 3.1%. The Median Sales Price was up 10.4% to $635k for Detached homes and 5.7% to $412k for Attached homes. Alright, it’s time to get off that fence and buy now before interest rates go up even more – the Fed has come out and said they plan to do 2 more increases to interest rates within this year. You will definitely want to get into your new home before that happens! Also, we are finally seeing more homes hit the market, this means you can give yourself more time to be picky and make sure the home has everything you’re looking for! With competition to sale higher than we have seen in last few years, you will really want to make sure your home stands out from all the rest! To do this best, you will need to make sure the home is suitably decluttered and arranged so it can be shown well, make sure the property photos are amazing & flawless, always review all marketing to make sure it is advertised correctly, and of course, make sure it’s priced right! If this sounds like a lot to do, you’re not alone & that’s why our team created this specialty selling system that provides sellers with full service, start to finish so we when you list with us, we’ll do the rest, cut out the stress & always deliver the best! New Listing in Rimrock Estates • COMING SOON! • Panoramic Westerly Views! Coming Soon! Magnificent 4 bed, 3 bath, single-story hilltop residence nestled high within the prestigious Rimrock Estates with breath-taking westerly views stretching 50+ miles across lush rolling hills out to the ocean & the Catalina islands. This spectacular home is stunning inside & out – quality construction masterfully emphasizes these beautiful views in almost every room across the expansive 3000 sq.ft. open-concept living space. Features include vaulted ceilings, gourmet chef’s kitchen, separate wing with master suite + stunning master bath + HUGE walk-in closet with his & her custom built-ins! Majestic courtyard entry leads through custom iron gate down stone tiled path under vaulted breezeway lined w lush greenery & built-in fire pit. Enjoy unbelievable westerly views from your beautifully landscaped backyard oasis, complete with saltwater infinity pool & spa, outdoor kitchen / bbq / pegola patio. Wrap-around stone walkway continues along the west-facing bluff under an open-beamed pegola complete with a canopy of lush greenery, mature gardens and soothing water fountains throughout. This meticulous home demonstrates true pride of ownership – truly something special. Must see to fully appreciate! This hilltop gem is definitely one you do not want to miss! JUST LISTED! • Pristine Cul-de-sac Home • SAN ELIJO HILLS! 3 Bedrooms Great Schools, Community, Walkability! 1992 sq.ft. Cul-de-sac with Private Backyard! This home is your chance to get in to one of the most highly sought-after neighborhoods in San Diego county! San Elijo Hills in San Marcos offers an elite family-friendly community. Featuring excellent schools, community parks & dog parks, and great walkability to shops & restaurants… don’t miss your chance! Well-maintained 3 bedroom, 2.5 bathroom home offers gorgeous wood tiles, new carpet, new paint, updated bathrooms, walk-in closets, jetted tub in master bath and wonderful large open loft space upstairs (optional 4th bedroom)! This home is located on a private cul-de-sac with large backyard… and is move-in ready! This is a beautiful fully updated condo in an amazing community with so much to offer! This home has tile floors throughout downstairs, nice wood floors throughout upstairs, granite countertops, stainless steel appliances, top of the line energy efficient windows, crown molding, recessed lighting and much more! The unit comes with 1 parking spot (Additional space $50/mo) and a private balcony. The community offers 5 pools, 2 fitness rooms, 2 tennis courts, a basketball court, and access to Lake Murray. This unit won’t last! This one will Sell Fast~ Don’t miss out! Contact us for more information, or schedule your private tour! We are NOT Facing Another Housing Bubble!! Last week, our team and myself attended the annual National Real Estate Conference downtown where we were fortunate enough to be audience to a multitude of panels comprised of the best-of-the-best in all areas of real estate – many market issues were discussed but the topic brought up by all panelists from builder reps, to city councilmen, to economics profess ors surrounded this mounting nationwide concern of a potential market bubble. Let’s set the record straight here… experts agree – the issue is not when the bubble will happen, but rather when will this inventory crisis end ?! Let’s compare this year’s numbers to when we did experience the market crash in 2007 – the calculated scales are currently tilted slightly in favor of buying vs. renting, versus the extreme opposite where 2007 pointed severely in favor of renting as the more affordable option (when considering renting costs vs. the current conventional loan offerings). Also in 2007, we were building in excess with 225,000 homes per year (in California), however despite today’s population having grown by 4 million, we are building under 80,000 homes per year. What shocks me here is how we are growing by nearly 400,000 people each year, yet only building 80,000 new homes..?! Something doesn’t add up here! Don’t believe the hype around buying a fixer! Due to San Diego’s high demand for homes, our fixer-upper properties are not selling for that much less than the move-in ready homes. Most of the time, it is actually more affordable to buy a home already remodeled, rather than putting up the capital yourself after purchase. Also, it’s going to be easier for most San Diegans to increase your loan by $50K to buy that move-in ready home, versus a fixer and $70K+ paid out of pocket in order to do a similar remodel. Hire a designer, not a stager! While staging usually does pay for itself and typically helps homes sell much faster, the typical seller in today’s market is still living in the home they wish to sell and it’s a designer they need, not a stager. We like to hire our interior designer to go through the home and create a list of things that should to be changed, all while using the clients furniture already in home to ‘stage’. This saves our clients money while still getting top dollar for their homes! Is this Price Climb Over Yet?? For the last two years, we have watched the steady climb of home prices happen across the nation. For us here in San Diego, we have actually been experiencing this rise for almost 7 years now… and shows no sign of slowing down! Just this summer, prices have already made a 6% average increase across the county…that happened in just 2 months?? So after 7 years, you can imagine how significant an impact this has been on some homes! The climb is a direct result of the current market’s lack of inventory. We currently hold 26.7% less inventory today than we did a year ago. That means that active home sales today become hosts to lots of multiple offer situations, lots of appraisal issues and LOTS of happy sellers! But we have to wonder, when is this going to slow down?? My short answer is yes, maybe and no. Summer is coming to an end, and we can expect to see a slight decline in buyer activity during this time..however with this consistent inventory shortage plaguing our current housing market, we can’t be certain whether or not this brief lull in activity will have a leveling impact on the market. What we need to have happen is for our inventory to increase up to a 3-month supply. This would allow for the market to finally regain balance and prices to level out to a more stable 3% rise per year. While the solution really is that simple in theory, the real world here continues to show no indication of this happening any time soon, therefore our prices will continue to climb with no signs of slowing down. The Median Sales Price is up to 10.7% to $620,000 for Detached homes, and 6.7% to $405,000 for Attached homes. Closed Sales decreased to 8.6%, Pending Sales increased 5.55%, however the largest and most jarring market change is the decrease in inventory down 26.7% from last year – this caused the Days on Market time to decrease down to 12.6%. All in all, these indicators point to a strong, healthy market that is not showing signs of slowing down any time soon.